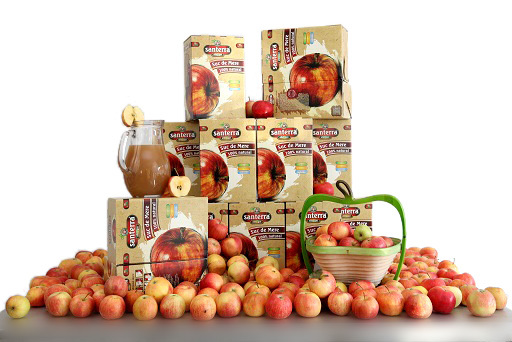 Bioterra Natural is a family owned business, a small factory producing 100% natural cloudy apple juice. In these times characterized by industrialization and speed, we value both tradition and modernity. Our only goal is to offer our customers a product of exceptional quality. We are specialized in producing natural apple juice, under our own brand and also for individual customers. This means that you can come with your own fruits and vegetables and we will make you your own juice. Of course, you can watch closely the entire process. We focus on the strong bond between man and nature, two equally strong forces. For our cloudy apple juice, Bioterra - Natural 100%, we use only high quality fruit from Transylvania, collected and processed with great care. Yes, we unconditionally love our homeland. For us, Petrești, Alba, means home, the place where we learned from our parents – who, in turn, learned from their grandparents - to make the best cloudy apple juice. 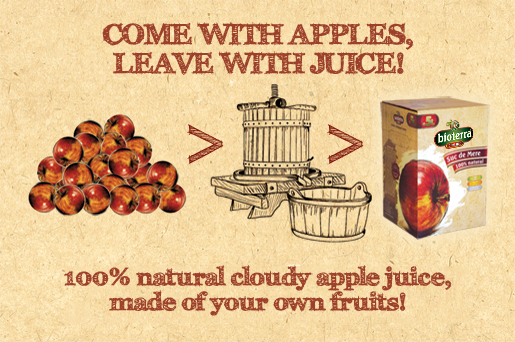 We promote our cloudy apple juice with great pride not only in Transylvania, but also the entire country and even abroad. Our name itself is already a guarantee of quality: Bioterra - Natural 100% . Our philosophy is simple and powerful: drinking a glass of Bioterra - Natural 100% is not just for quenching your thirst, but also for enjoying a product of the highest quality, 100% natural. One drinks it not only for its great taste, but also for its health benefits! For that, we guarantee with our brand Bioterra - Natural 100% ! We refused to be a mainstream company. We work differently, and offer tangible benefits: besides the product itself, our 100% natural cloudy apple juice, we developed an honest and transparent relationship with each of our customers. The following pages will provide you with many interesting information about us and our many varieties of 100% natural cloudy apple juices. We invite you to know us better! 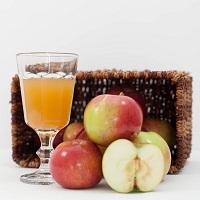 We are specialized in producing cloudy natural apple juice for individual clients. You bring your own fruits and vegetables and we will take care of the technological process, in your presence. Your juice will then be pasteurized and properly packaged. All combinations of fruits and vegetables (apples and pears, apples and carrots, apples and beets etc.) are turned to 100% natural cloudy juice, very tasty and healthy. The juice is packaged as it comes from the press, without being added sugar, preservatives, colorings, flavourings or water. Because we cherish Nature, nothing is wasted! All leftovers from fruits and vegetables are donated to local farmers and used to feed their animals. We are proud that we always focus on our customers’ wishes and we have adopted a very flexible policy. Weddings, anniversaries, holidays, school celebrations, children's parties, festivals, banquets, receptions, cocktail parties, conferences, banquets, corporate events, conferences - no matter the occasion, if you want to impress your guests, Bioterra - Natural 100% is the perfect choice! You will be absolutely delighted by the natural flavor of the natural fruits and vegetables, carefully selected and processed in a manner that combines traditional craftsmanship and modern technology for you to enjoy a truly natural product, deliciously healthy! Contact us, visit us and together we will find the best solution for you!